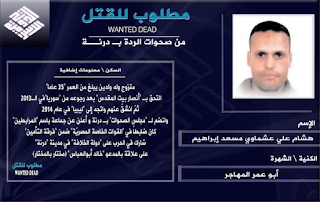 Egyptian Chronicles: Egypt and Daesh's Most Wanted !!! 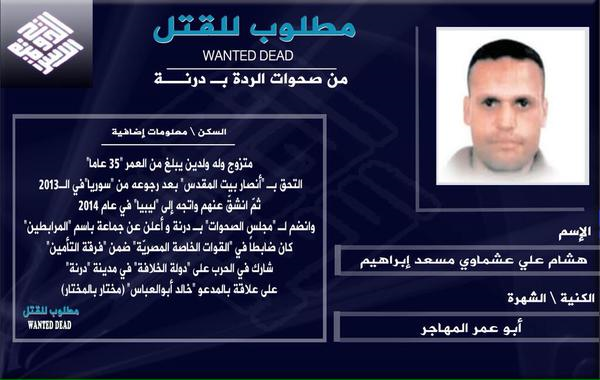 Ironically, It seems that former army officer-turned to Al-Qaeda prince Hisham El-Ashamawy is not a wanted man in Egypt officially, but he is also a wanted man in Libya according to Egypt's enemies in Derna. The Islamic State group aka Daesh also wants to see him dead !! !! 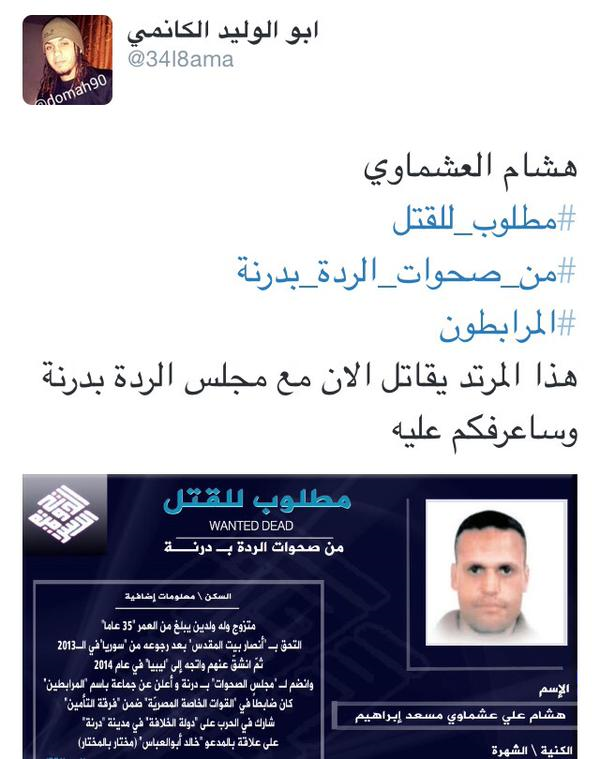 I told you it is ironic but yes the former Egyptian special forces officer is a wanted man by both Egyptian government and Daesh. Daesh claimed responsibility of killing 20 Egyptian Christian Copt workers last February and the Egyptian government answered back by air strikes in the city of Derna , Libya. El-Ashamawy is already facing a military trial in Egypt and is said to be the main suspect in the assassination of former Egypt's prosecutor general Hisham Barakat. The Islamic state aka Daesh in Libya released an announcement late last month showing the photo of El-Ashamawy demanding him dead. That announcement reveals more information about the 35-years old former/defected special forces officer. The married father of 2 boys joined Ansar Beit Al-Maqdis “ABM”, the Sinai-based militant group in 2013 after his return in Syria. It says also that he defected from ABM in 2014 and headed to Libya in the same year. In Libya, precisely in Derna where Daesh announced the so-called Derna Province, Hisham El-Ashmawy joined what they called “Sahawat council Derna” and started a war against Daesh in the Libyan city. The Sahawat council of Derna is affiliated with Shura council of Mujahideen in Derna, which is also affiliated with Al-Qaeda. Since last October, there have been tough battles between the Al-Qaeda affiliated group and the Daesh affiliated group in Derna. Now back to the released announcement, this means that El-Ashamawy is not in Egypt currently or at least he is not occupied by fighting that so-called El-Sisi regime and army. It also means that he may not be the mastermind of all the ABM operations in 2014 or 2015 if he were in Libya all that time. 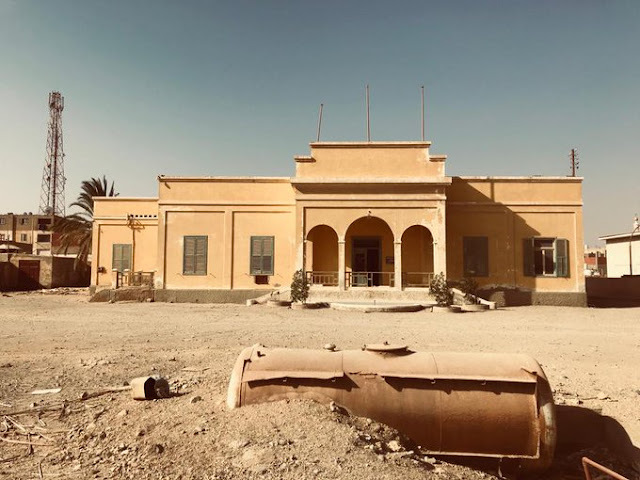 Historically there was a disagreement among the members of Ansar Beit Al-Maqdis in North Sinai over its allegiance to the Islamic state aka Daesh in November 2014 and changing its name to “Sinai Province”. 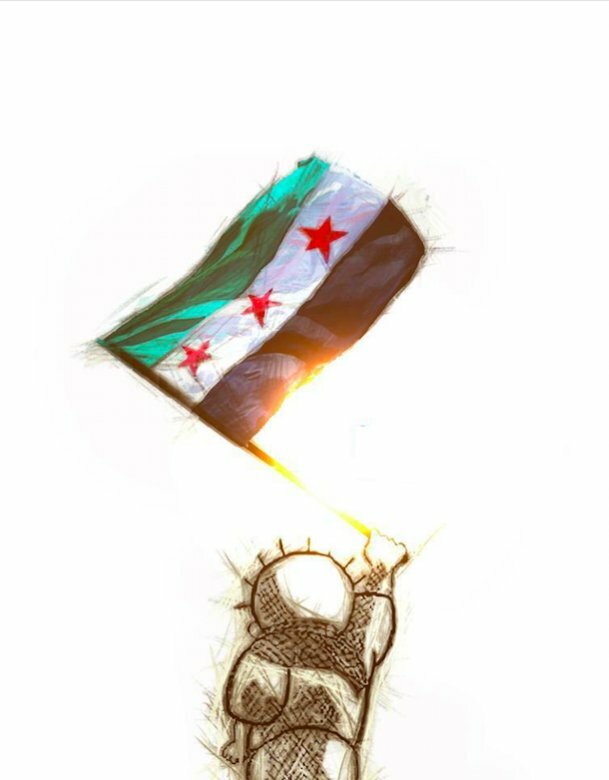 Already ABM is made up of Salafist Jihadist groups affiliated with Al-Qaeda and during then some said that due to financial reasons ABM shifted its affiliation to Daesh. 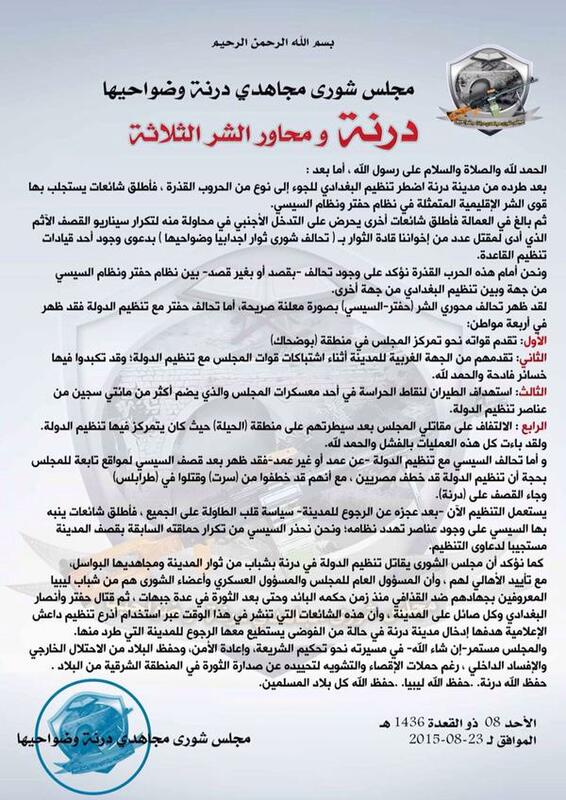 This announcement is another proof on the ongoing war between Daesh and Al-Qaeda. Ironically even more Daesh is accusing “The Sahawat” of being backed up by none other the Libyan armed forces aka Khalifa Haftar’s forces. Daesh says that Haftar’s air forces attacks its locations in Derna and leaves Sahawat from time to time. Khalifa Haftar is supported and backed up by Egypt !! 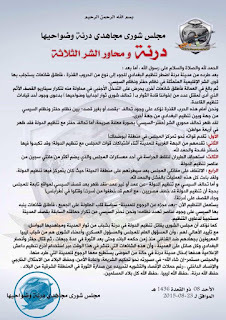 Anyhow The Shura Council of Mujahideen in Derna issued a statement claiming that Daesh was spreading rumors about Derna in order to drag El-Sisi to strike it with Egyptian air forces like what happened in February. The council even described Daesh, Sisi regime and Haftar regime as the axis of evil !!!!!! Welcome to the Middle East !! Anyhow at least we know where allegedly Hisham El-Ashmaway is !! Speaking about Daesh and ABM,last month Al-Qaeda affiliated-Sinai based militant group “Gond Al-Islam” has made a sudden comeback in the Media by releasing a video in early August for an operation that took place in September 2013. 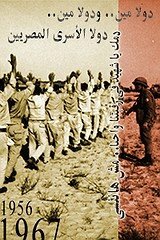 In September 2013, the militant group claimed responsibility for the bombing of the Military intelligence building in the city of Rafah then where 6 military personnel were killed along civilians. It seems that the militant group wants to remind the people with what it did because it was simply overshadowed by ABM. The video is not that advanced or high-quality production just like ABM’s unique production. Using clips of Ayman El-Zawahary’s speech along with footage from Al-Aqsa mosque and Rabaa sit-in dispersal, there is nothing new in the video. The group also released a statement last month slamming El-Sisi’s regime for the forced displacement of local citizens of North Sinai claiming that it was part of a conspiracy to empty Sinai from its people for the sake of Israel. Interestingly, in the end of that statement, the militant group demands the intellectuals, thinkers and journalists to expose that conspiracy to the public !! Usually, those groups attack intellectuals, thinkers and journalists accusing them of blasphemy. 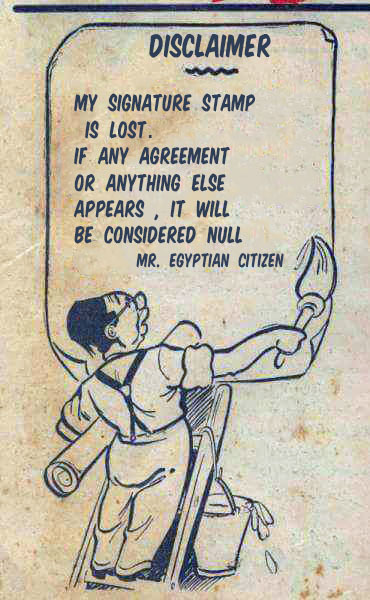 Personally I think just like El-Ashamawy’s El-Morabtoon, “Gond El-Islam” is back from Crypt to tell ABM and the Egyptian regime as well the world that Al-Qaeda is still alive and kicking.